Speedzilla Motorcycle Message Forums > General Motorcycle Discussion > The Lounge > ~( Pic )~ YOU WANNA SEE THIS! :-) Merry Christmas Everyone! ~( Pic )~ YOU WANNA SEE THIS! :-) Merry Christmas Everyone! 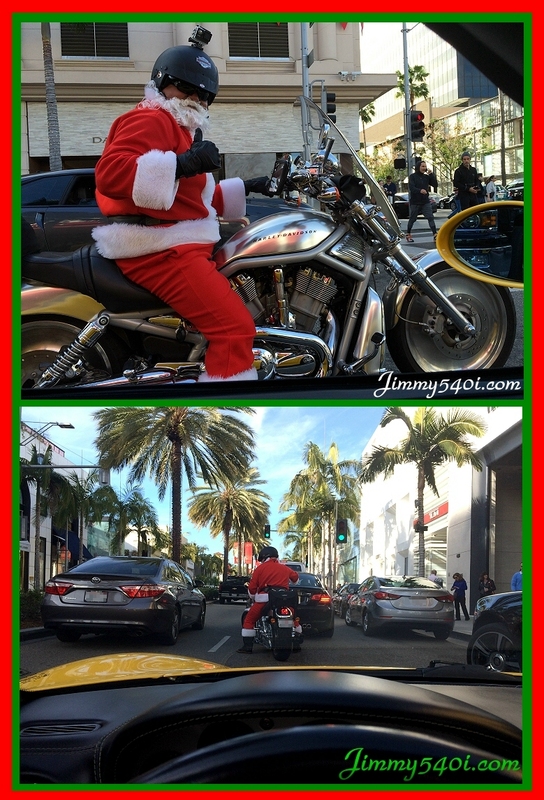 was cruising on rodeo drive & spotted Santa on his Harley! Me: " Nice Bike, Santa,"
Santa: "Nice 6-speed manual, Buddy!" Santa sure knows whatzup . Thought I'd share a couple of pictures here with you fine people and wish you all have a very Merry Christmas & Happy 2016!!! Last edited by Jimmy540i.com; 12-25-2015 at 07:06 AM.